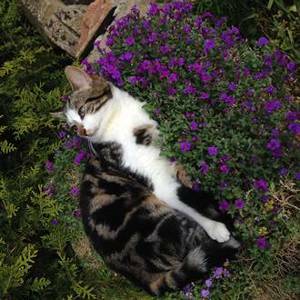 Cats are integral parts of their families, and it’s always devastating when they go missing. Many do come home eventually, but the uncertainty and the hole they leave in family life can feel devastating. 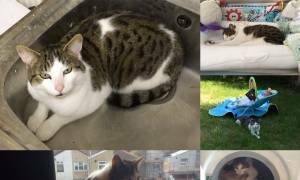 Although our priority is finding homes for unwanted and abandoned cats, we like to try and do our bit to reunite local cats and their owners. All the cats below have been reported lost, we and their families would appreciate it if you could keep an eye out for them! 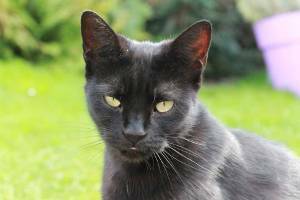 If you think your cat is lost or missing, you might find our article What to do when your cat is lost helpful. If you would like us to add your cat to this page, you can find a form at the bottom of this page and we will do our best to add them as soon as possible. 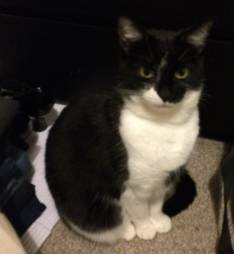 Brief description: Black and white male white bib not wearing a collar missing since Friday 30th June chipped and neatered. Twist does not normally stray far from the garden and spends a vast amount of her time sleeping in undergrowth directly behind my house. She is very cautious of people and other animals much preferring to flee than fight. I have been cutting paths into the undergrowth to see if she is in there to no avail. I have had the neighbours check there sheds and advertised her on Facebook lot/found groups. I’m just emailling all the vets and cat homes in town to check nobody has brought in our missing cat, which we have now learnt probably has a chip from a faulty batch . I’ve attached some photos ( pink collar at that time) and critically she suffers from struvite crystals. She’s normally quite shy with people, but very gentle with other cats. If you or your colleagues have dealt with a cat meeting her description, do please get in touch. Also if you could forward this email to any of your other locations in the city we’d be very grateful. If she is still alive we’d love to have her back with her sisters. Circumstances: Last seen on 27th March 2017. 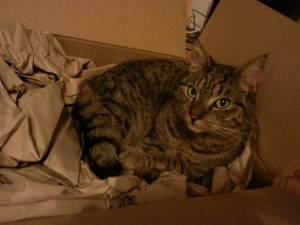 Brief description: Marley is brown tabby with black stripes and white chest and paws. He has a problem with his right eye and it is usually closed. He is wearing a black collar with silver reflective pattern and blue paw print tag. Circumstances: On Thursday 5th January 2017. 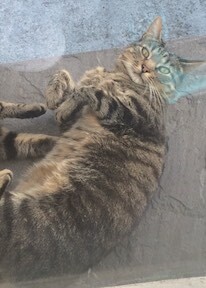 Our cat got into a workman’s van parked on our driveway in Warminster and ended up outside the workman’s home 25 miles away in Colerne, near Chippenham. When the doors were opened, he leapt out and bolted down the street of the housing estate in Thickwood (SN14) , opposite the Lucknam Park hotel. We have searched for him endlessly since then but there have been no sightings at all. We don’t know if he is still in the housing estate or has gone into the fields towards Colerne and beyond. 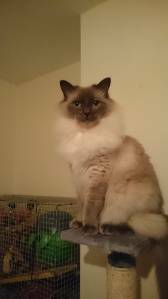 Description: George is an 8-year-old domestic shorthaired neutered male. He is in excellent health, with a thick coat of sandy-coloured fur (definitely not orange-ginger). He is a large cat (5.5kg) and has a distinctive blonde belly that wobbles from side to side as he moves. He has subtle stripes on his tale and very pale green eyes. He is a gentle, pampered cat who, until Thursday, had never spent a night outdoors. He is timid and initially scared of people. He is used to living in a quiet area, with gardens, trees and a pond. He is scared of roads and traffic and not used to them at all. He loves his food and we are hoping that eventually he will break cover and go to someone to beg food. We are desperate to get George back as he is part of our family. 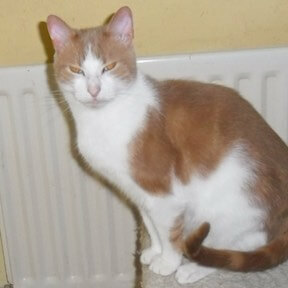 Although he doesn’t wear a collar, he is microchipped and is registered as well at Garstons vets in Warminster. 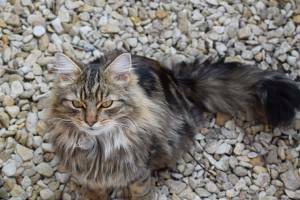 Willow was 1 year old in September 2016, she is short haired. 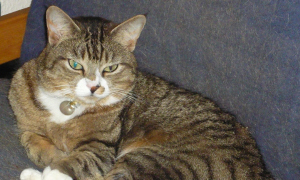 Mainly grey with tabby markings, some sandy patches and lighter patches on her tummy. She is microchipped and neutered, not wearing a collar. Lovely nature affectionate and wants to tuck herself under your chin to sleep. 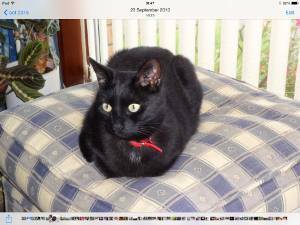 Gabriel disappeared from our home in Winterbourne near Bristol on 2nd November 2016 and we haven’t seen him since. He’s one year five months old and completely black. He’s small and lean, friendly and likes being stroked. He’s microchipped with our details. He’s our family cat and we’re all missing him. There’s a reward for anyone who finds him. 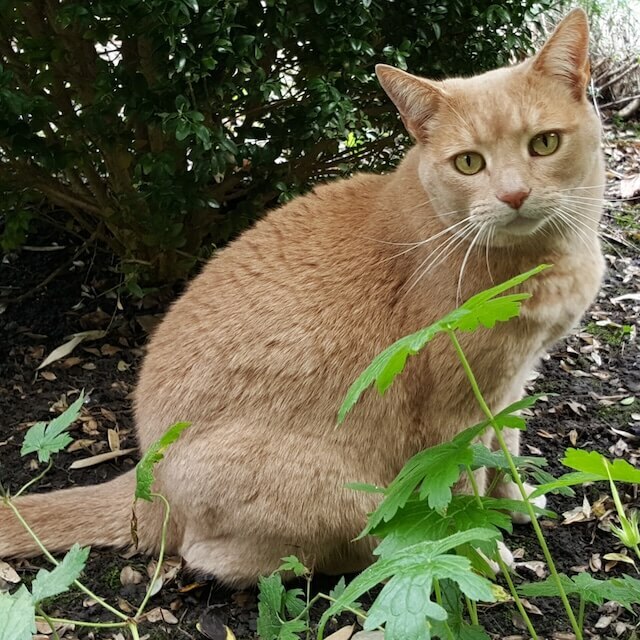 I just wanted to contact you as my cat has been missing for three days from St George Park area, I have relocated to Bristol and my cats were starting to venture outside when Lilly decided possibly to venture further afield. I’m just a very worries owner and taking all possibly action to get her home and thought I could send you a picture incase she ends up with you. She’s a 5 year old short hair tabby named Lilly and has a tear stain constantly in her right eye, very timid cat as she was a rescue when I got her 4 years ago. Thanks for your help. 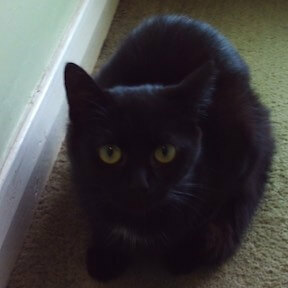 Brief description: Jenny is neutered, chipped and should be wearing a silver and pink reflective collar. 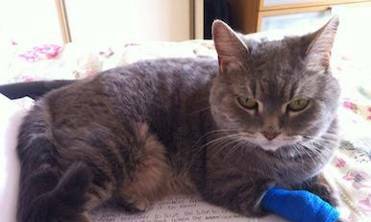 She is approx 13 yrs old (rescue cat so not absolutely sure of age) but in good health. 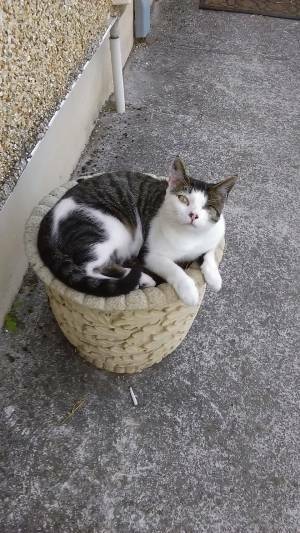 Brief description:He is a tabby of 9 months old, he has not been neutered and is not chipped. He has a white bib and a smudge of colour on his nose, his name is ‘Ivar’. 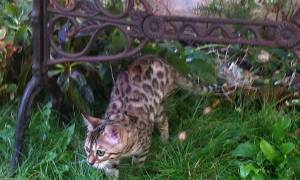 Brief description: She is a brown and white spotted female bengal. Small build. Round face. Black and white stripy tail. Beige and chocolate spotty tummy. Red collar. Friendly. 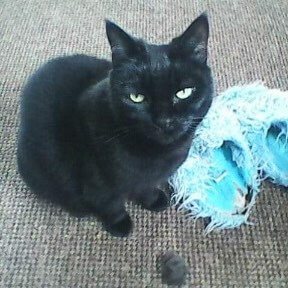 Brief description: Our cat Dusty went missing from Treefeild Road in Clevedon on Sunday morning. She is a grey and white tabby. She has a pink collar and tag. Dusty is epileptic and needs twice daily medication. She has a shaven patch on the top of her head from a recent trip to the hospital. She is chipped and 7 years old. 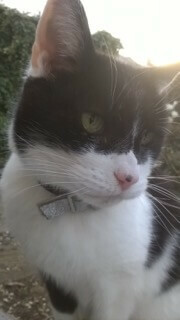 Brief description: Our cat Zak, who we homed through Bristol & Wales Cat Rescue two years ago is missing. He’s a 4 year old neutered male white/tabby short hair. He currently has a shaved patch at the top of his front left leg. He was last seen in our garden in Bishopston. 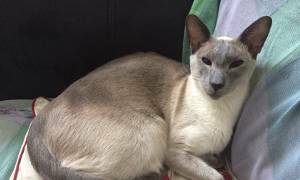 Brief description: Blue point siamese, 7 years old, neutered male, microchip but no collar. Very timid. Last seen in the back garage lanes linking 8th, 7th and 6th Avenue. Please check gardens, shed and garages. 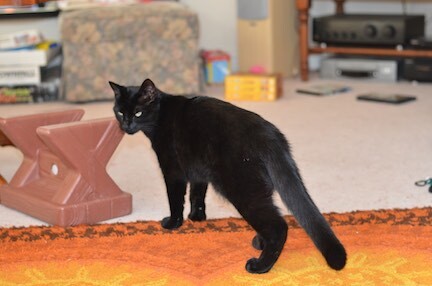 Brief description: MISSING – super friendly, all black, 2 year old boy from FILTON (BS34 – Charborough rd/Southmead rd junction, near Bawa leisure centre). 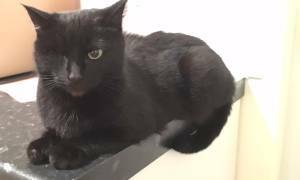 He is neutered and microchipped, wearing a black collar with white pattern and red star tag. 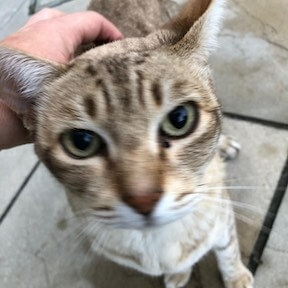 He is very VERY friendly and would seek people out if lost (we have often received calls from people thinking he is lost! ), but we haven’t heard anything at all. He doesn’t wander and always comes home, so we wonder if he is stuck somewhere. We’ve checked roads and bushes also, thinking the worst may have happened. We really think he may be shut in a shed/garage/out building as he is very curious, so PLEASE check if you live in Filton/Southmead rd area and encourage friends/neighbours to do the same if you know anyone who lives in this area. 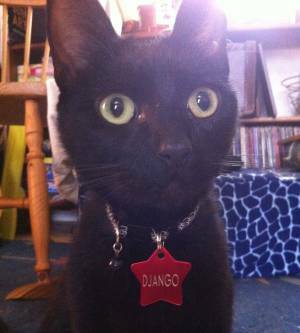 We have had unpleasant experiences with a neighbour leaving anonymous bags of cat poo and notes on our doorstep, one wishing our cats ‘short lives’ so we are very worried about Django’s welfare and also worried for our remaining cat. Please PLEASE contact us if you have heard anything, even if it’s bad news. 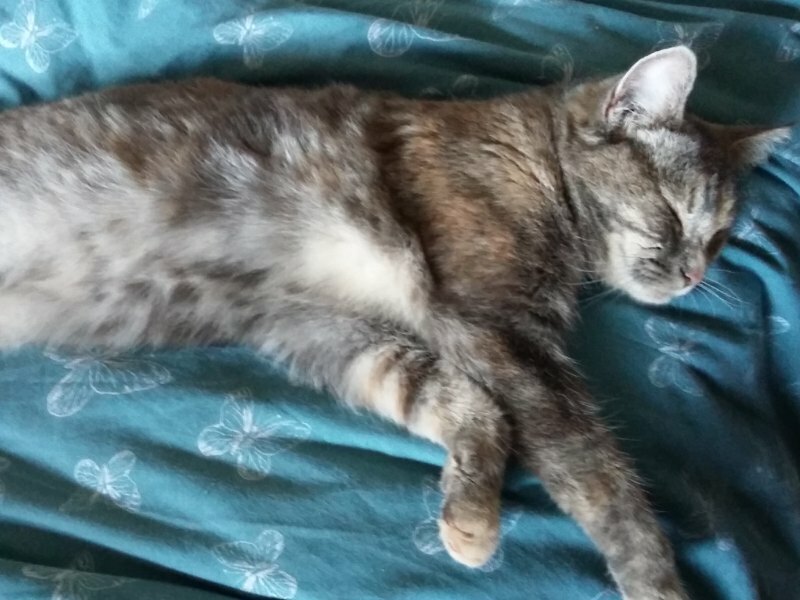 Brief description: Tia bolted through the door as I was on my way in on Sunday evening (24th April) and I have not been able to find her since. She does not know the area very well as we recently moved and she had spent the time hiding in the sofa, and will most likely be very distressed. The address she has gone from is Staple Hill High Street, so I am increasingly concerned for her safety with the more time that passes. 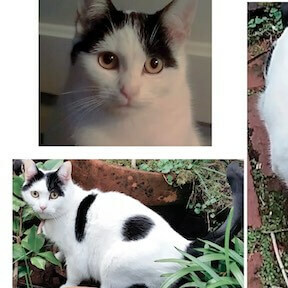 She is micro-chipped and spayed, and I have attached pictures to show her markings. We got him from Bristol and Wales Cat Rescue back in 2014 and he’s a great cat. 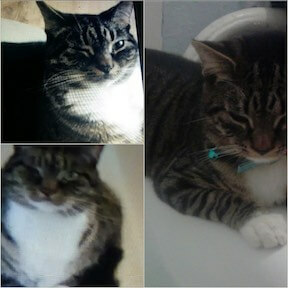 He is a short hair tabby, light fur, dark markings, spotted sides and belly and striped legs and tail. Greeny yellow eyes, small black tufts on the ends of his ears. Ralph Road, Ashley Down. He is a long haired tabby cat. He is quite small and fluffy and has a microchip. hiding and let us know if you have any information, Thank you. We actually got her from you guys so she was chipped and neutered already and does not have a collar. We live in the BS4 Knowle area on Somerset road just off the Wells road. She is an anxious cat and has fur coming away on her back legs due to over grooming. If you’d like to add your cat to this page, please fill in the short form. We’ll keep your cat on this page as long as you’d like, but we do ask that you please let us know if your pet has been found. Where and when was your cat last seen? Upload a photo of your cat, it should be crisp and clear (not filtered). Image should be at least 800 x 600 pixels, and no bigger than 1MB. If you'd like to sign up to our mailing list, we'll send you the cat advice and care tips, as well as out latest foster cats.